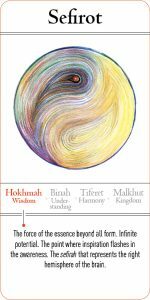 The Book of Exodus is the second of the five books of the Torah and therefore corresponds to the Sephira of Ḥokhmah among the five books. The story of the exodus from Egypt represents the genetic code of the coming out from slavery to freedom that a person must undergo in his lifetime to correct himself and realize himself as created in the image of God. In the weeks that we read the story of the exodus from Egypt, we can experience our own personal Exodus from slavery in the areas of our lives in which we chose to experience freedom. The Book of Exodus presents the arena of the struggle for freedom, the forces that operate in it, and the way in which one can connect to the forces of the soul – the people of Israel – to overcome the influence of body and materialism – Egypt, and to experience real freedom during and as a result of this journey. 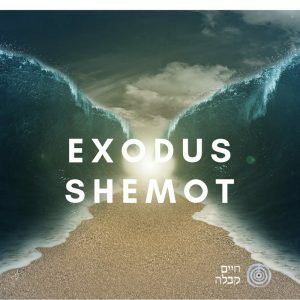 In the second part of Exodus, we experience the construction of the Mishkan (The portable temple – The Tabernacle) as “and they will make me a dwelling and I will dwell among them.” After we are set out for freedom, freedom comes with the responsibility to control our destiny and our environment. These secrets are hidden in the work of the Mishkan and its equipment.